Climate change is taking a heavy toll on farmworkers in Florida, where new research indicates excessive heat stress is increasingly becoming a public health problem with severe human rights and economic implications for the state. A new report released Tuesday by the non-profit organization Public Citizen, along with the Farmworker Association of Florida (FWAF) and a researcher at Emory University, corroborates what advocates have argued for years: that climate change is impacting farmworkers in Florida. An analysis of temperature data for all of the state’s 67 counties between May 1 and September 30, 2018, found that workers across Florida were exposed to dangerous levels of heat — temperatures above 82.4°F for moderate work and 78.8°F and 77°F for heavy and very heavy work respectively. Long-term exposure to high temperatures can spark fatigue and nausea, along with heat stroke, dehydration, and over a prolonged period, organ failure. This temperature assessment was then combined with a study from Emory which had 250 Florida workers wear special equipment while working in order to study their reactions to heat. Blood and urine samples were also collected as part of the study, which ultimately found that four out of five workers were exceeding 100.4°F in body temperature on at least one day during the study, increasing their susceptibility to heat illness. Entitled “Unworkable,” the final report serves as a dire warning in a state where heat-related hospitalizations are already among the highest in the country. Outdoor workers across a number of sectors, including farming and construction, are already disproportionately vulnerable to high temperatures and shifting climate, something they say global warming will only worsen. “The price we pay for our food exacts a price too high for the [people] who harvest it,” said Jeannie Economos, a pesticide safety and environmental health project coordinator with FWAF. Earlier this month, the U.N. Intergovernmental Panel on Climate Change (IPCC) released a dire assessment that found that the world only has around 12 years left before crossing over a dangerous global warming threshold. The panel indicated such a move could be catastrophic. Meanwhile, climate scientists have long worried that warming trends are disproportionately harming vulnerable communities, including laborers like farmworkers. On a call with reporters on Tuesday, Economos and other advocates and experts spoke about the increasing risks climate change is posing to Florida’s farmworkers. Advocates hope the report on Florida farmworkers released this week will open up new conversations about the impacts of climate change. In addition to imperiling human rights, experts stressed on Tuesday that warming weather is also becoming a public health crisis. “[It is] important that we recognize that climate change is affecting our health now,” said Dr. Cheryl Holder, the interim president of Florida Clinicians for Climate Action. Doctors in states like Florida are increasingly seeing a spike in workers suffering from heat-related illnesses, sometimes when it’s too late to prevent life-altering problems. Typically low-income, and oftentimes undocumented, farmworkers have been known to put off seeking treatment for their symptoms. This can lead to kidney failure following prolonged periods of heat exposure and dehydration, at which point they typically need dialysis. “If someone ends up on dialysis in this country regardless of your income status, you will be covered, and that’s quite a lot of dollars that we will be paying [in Florida],” said Holder, nodding to the economic implications, while also emphasizing the groups most likely to suffer amid warming temperatures. “The most vulnerable [to climate change] are children, elderly, [and] poor people,” she said. Farmworkers themselves are aware of what is happening, Economos said. “You talk to farmworkers and they know it’s getting hotter; they feel it, they’re worried,” she explained. This week’s report follows a July plea from 130 organizations to the Occupational Safety and Health Administration (OSHA) to take action and provide protections for farm and construction workers. At that time, David Arkush, managing director for Public Citizen’s climate program, told ThinkProgress that efforts to protect outdoor workers have long been a point of concern for advocates, but that increasingly dire climate warnings have injected such efforts with a new sense of urgency. 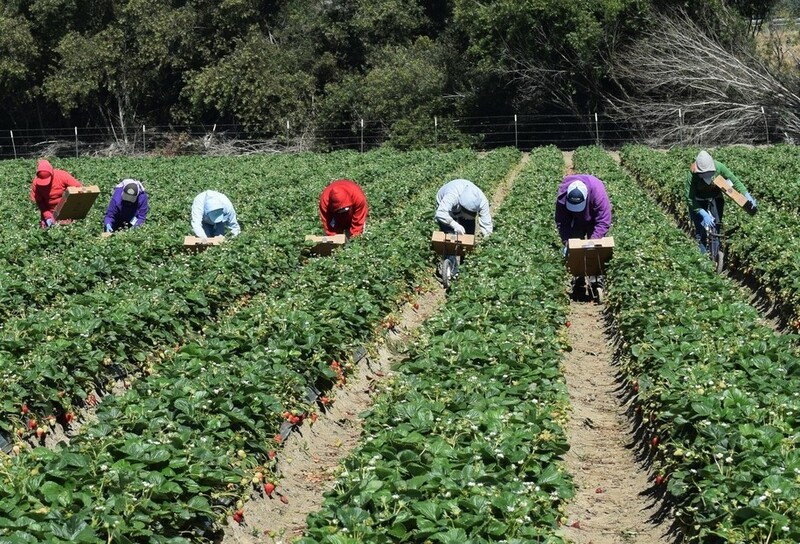 No laws, in Florida or nationally, currently protect farmworkers from heat stress. Advocates have called on OSHA to offer work breaks in the shade coupled with hydration opportunities. But even those asks have their downsides. At the time of the July plea to OSHA, advocates told ThinkProgress they had concerns that workers would need more than just breaks and water to prevent heat exposure impacts. Many earn their income by piece — according to how much they pick, collect, or harvest — as opposed to hourly, meaning that any breaks (including to use the bathroom after drinking water) directly hit their income. Issues like labor and immigration have long dominated the community, with many farmworkers engaging in activism over the years in an effort to protect themselves. 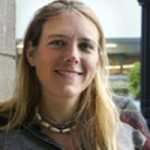 Now they are organizing around climate change, but many have found the endeavor frustrating. In August, ThinkProgress reported from Florida on the disillusionment farmworkers feel with lawmakers in the state, many of whom, they say, are slow to act on climate change. Global warming has emerged as a leading issue in the state’s midterm election cycle, which has been dominated by environmental issues even as a number of conservative candidates — including gubernatorial hopeful Ron DeSantis — have attempted to downplay climate change while emphasizing their green bonafides. That approach is becoming increasingly unsustainable in low-lying Florida, as sea-level rise and hurricanes become ever-more pressing issues. On Tuesday, advocates reiterated that action to help farmworkers is needed, urgently, along with an effort to mitigate the crisis they are facing. This article was originally published at ThinkProgress on October 31, 2018. Reprinted with permission. About the Author: E.A. Crunden is a reporter at ThinkProgress focused on environmental and world issues, as well as immigration and social justice in the U.S. South and Appalachia. You are currently browsing the archives for the Farm Workers category.